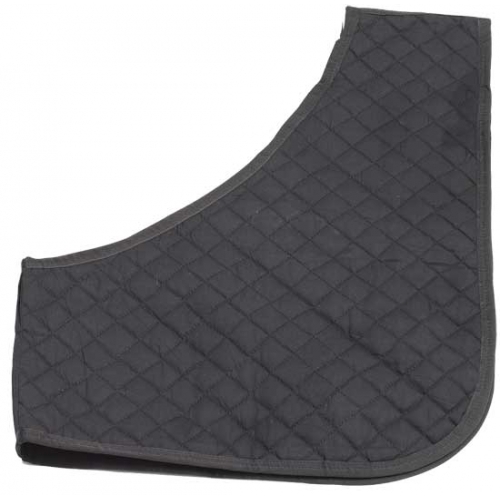 A Quilted Anti Rub Vest / Shoulder Guard for Horses / Ponies by Zilco. Black satin lined rug bib with quilted cotton outer and polyester fibre fill for added comfort and padding. Providing an easy fitting garment to stop any rugs rubbing your horse / pony. This Quilted Anti Rub Vest / Shoulder Guard - Made from the Finest Quality Materials but Affordable!